Rapid Cloud Integration TapNLink Primer NFC-BLE - Turn-key connectivity for embedded systems. 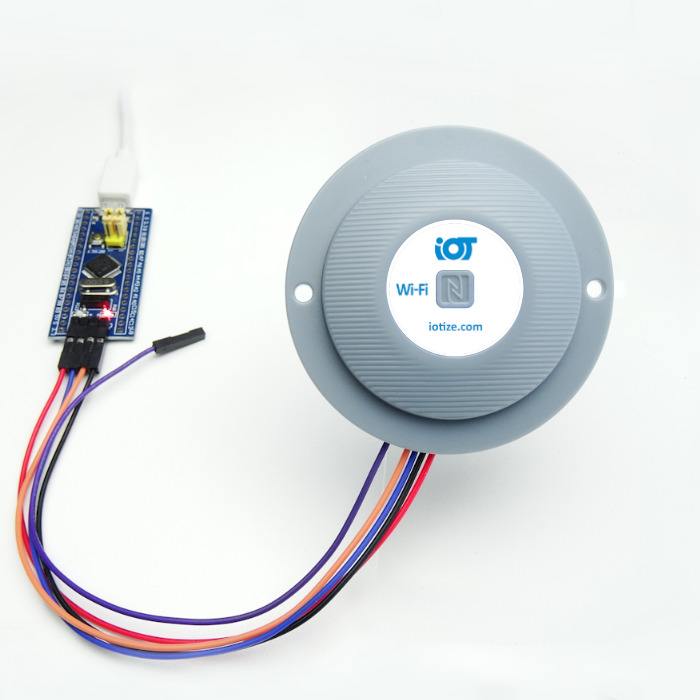 With TapNLink PRIMER, it takes just minutes for system designers to create their first IoT proofs-of-concept. The PRIMER connects microcontroller (MCU)-based electronic systems to mobile devices (smartphone, tablets, PDAs, etc.) via a Bluetooth Low Energy (BLE) or Near Field Communication* (NFC) interface. Using a mobile device as a gateway, the PRIMER also transfers data from the MCU application to a provisioned and pre-configured IoT service environment on the Cloud. The Primer implements by configuration only. There is no coding or hardware to design. Just specify the variables in the target application to read or write, the PRIMER'S configuration software automatically generates the HMI for your mobiles (Android or iOS) and prepares the Cloud environment to log the data. In just minutes, you can connect a mobile to your microtroller application, read and write data from a cutom smartphone app and view logged data on the Cloud. ** S3P enables connection to any microcontroller, regardless of its architecture. 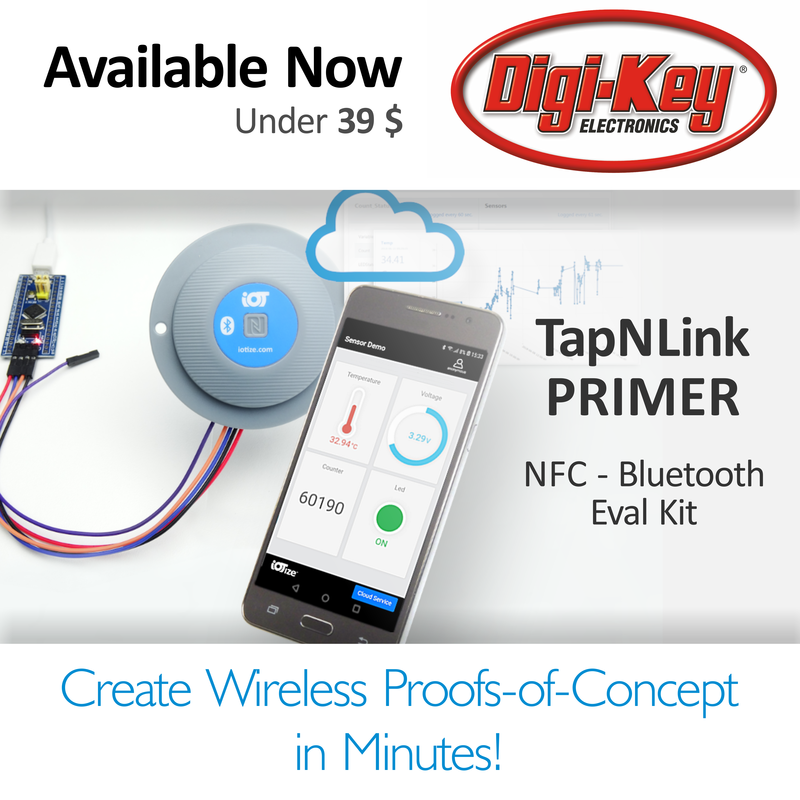 The TapNLink Primer also includes sample microcontroller application firmware for all STM32 microcontrollers and an accompanying Sensor Demo app for Android and iOS smartphones to help you get started.